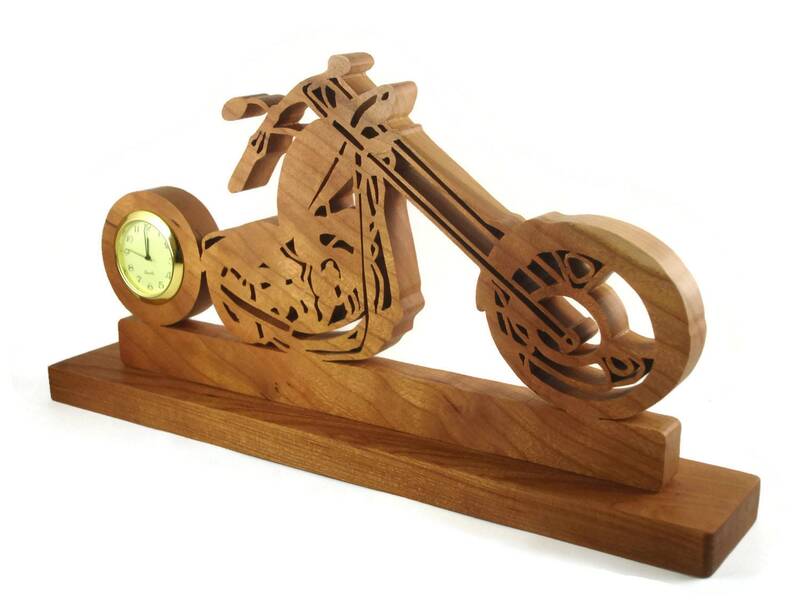 If you like motorcycles, choppers, and bikes then this chopper clock is a must have for your desk or shelf. 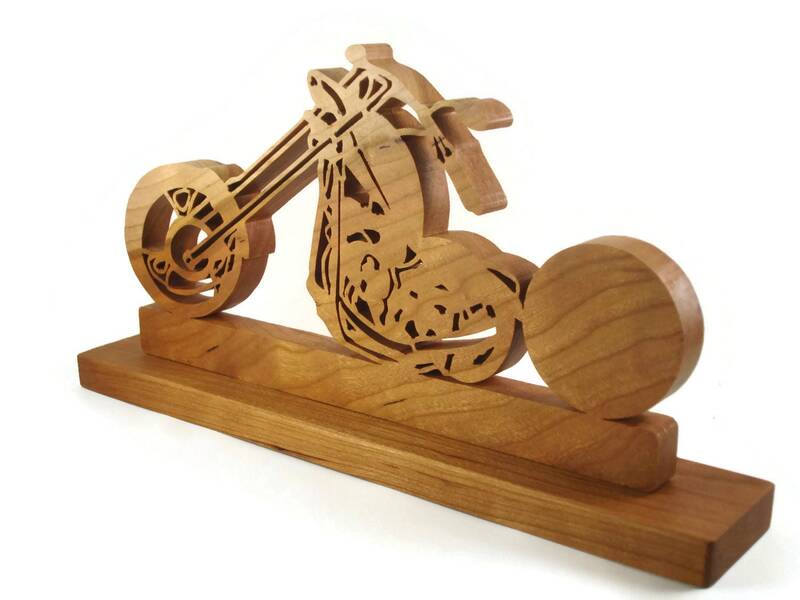 Feast your eyes of this hand cut Chopper build made out of cherry wood. 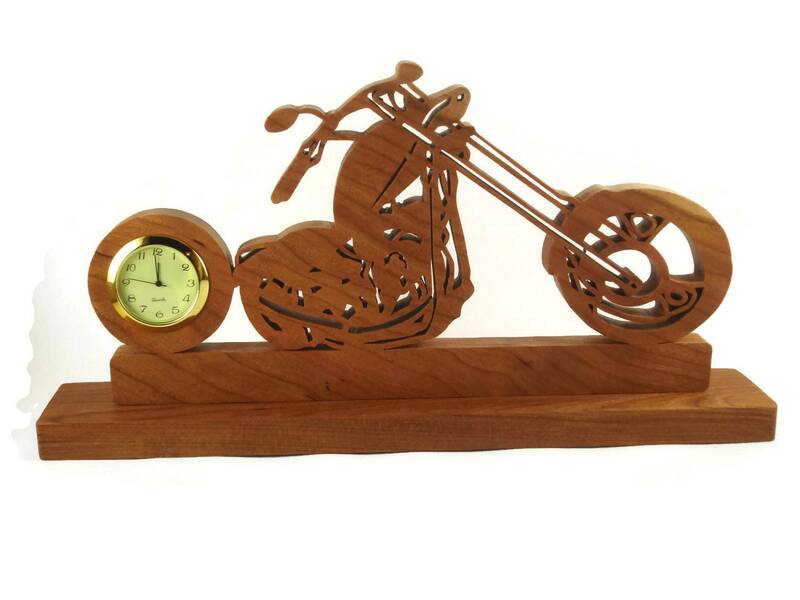 This chopper features a mini 1-716 inch quartz brand clock insert in the back wheel. The clock features Arabic numbers on a white face and has a glass lens with a gold plated bezel trim. 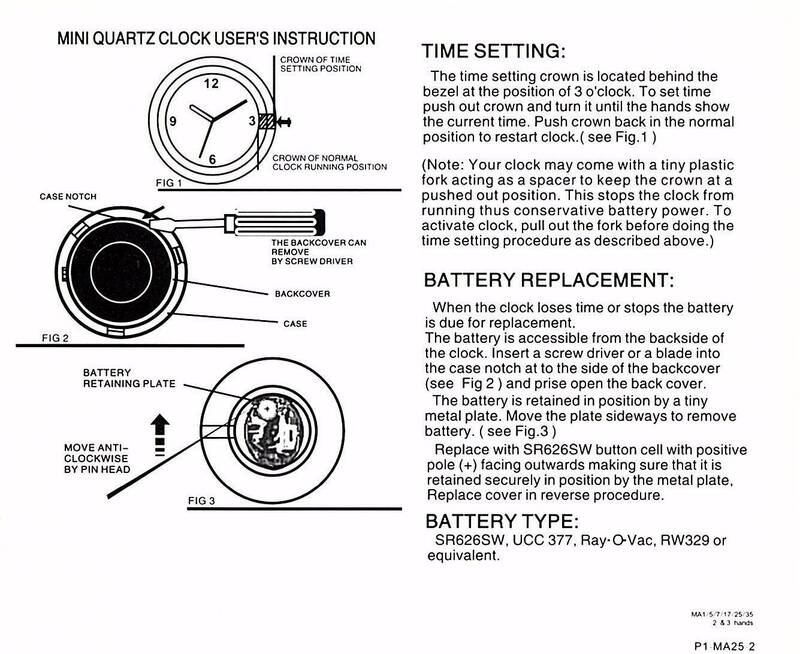 Clock has battery installed and is ready to be activated. The Chopper is approximately 9 inch long and 5.5 inch tall and is mounted with counter sunk screws to a 10.5 inch by 2 inch base. Cut from 5/8 inch thick hand selected Cherry lumber. The finish on this beauty is also homemade using all natural bees wax and mineral oil cooked together and made into a wax / jell. This finish fills in the pours of the wood and gives a nice silky soft feel and will protect the wood for many years of enjoyment. 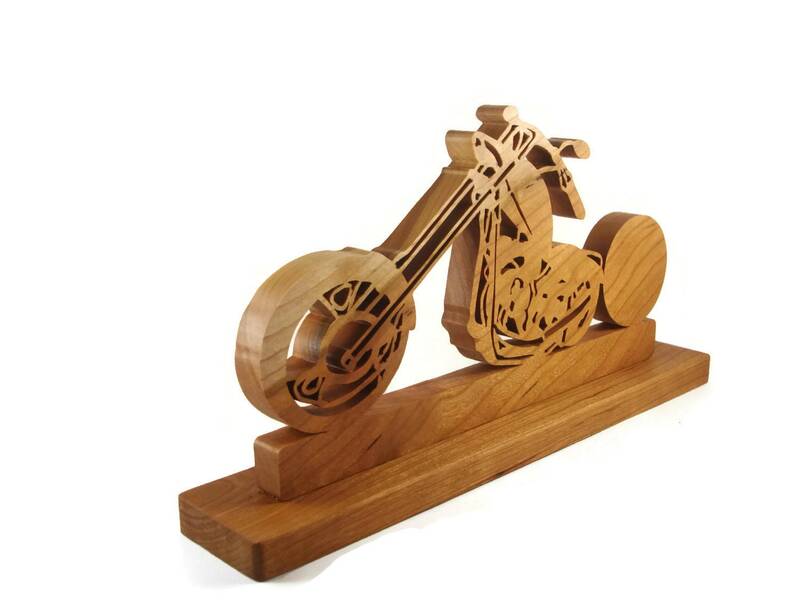 This can be made from other types of wood if cherry is not your favorite type of wood.. Contact me if you would like to order one.. 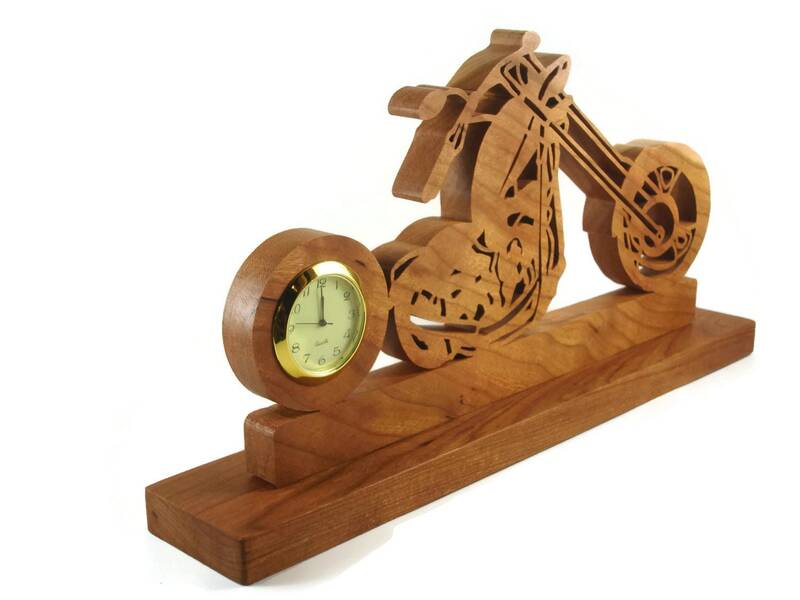 I also have other types and styles of motorcycles clocks.. hope to ad some soon but if you like contact me to see if you would rather have another style made and I will see what I can do to meet your request..